The 20-passenger minibus is slightly bigger than its 18-passenger counterpart and still offers the same mobility and convenience. This compact, yet roomy bus is perfect for a night out in town. This simple, stylish group transportation option will help you keep group together and on time no matter where your destination is. Travel options are endless with a personal minibus. Transport employees to corporate events, shuttle your wedding guests, ride with your team to your next sporting event, and more. 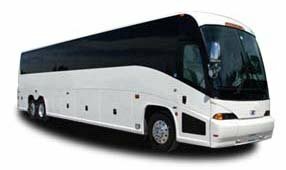 Florida Charter Bus Company will ensure your bus rental is luxurious, safe, and reliable the whole ride. Need any particular amenities? Let your reservation specialist know and they’ll match you with the perfect bus. Call us any time at 303-359-5975 for your custom quote.